Duchess Belle | Pub Quizzers | Find a pub quiz near you, now. 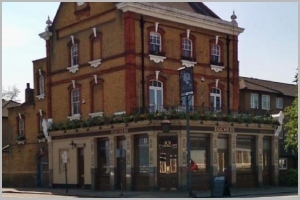 Pub quizzes take place at Duchess Belle, Battersea on Sundays (weekly) at 19:00. Entry is £2.00, you can have up to 10 people on a team. There are prizes of cash. Happy quizzing! We're adding some spice to Sunday nights in Battersea with our renowned Pub Quiz at The Duchess Belle! Start working out who will make the cut to join your team, or better yet, just bring all your friends and see who aims the highest with their general knowledge know-how. You'll be playing for the ''London Quiz Scenes'' most coveted prizes: First Place team will claim a ''£50 Food & Bar Tab'' and the team who manage to secure themselves the Second-To-Last spot will be gifted with a ''Bottle of House Wine'' for their valiant efforts. Alongside the main prizes, there will also be 2 Bonus Free Drink questions for the player who shouts at the answer the fastest! And if those prizes didn't quite cut it, we also have a ROLLING CASH JACKPOT in place EVERY WEEK meaning that just by participating in the quiz, you could be heading home with up to £250! So head down to The Duchess Belle, Battersea, Sundays at 7:00PM! There's no limit on team size, but in the interest of fairness, a points deduction system kicks in for more than 6 players.